The cliffs at Mudjin Harbour, Middle Caicos. The Providenciales - North Caicos ferry at Sandy Point Marina, North Caicos. Taking a day trip to North Caicos and Middle Caicos is one of the top activities for guests staying on the island of Providenciales. Most visitors will find a day trip to be highly-enjoyable, as our two Garden Islands offer a fusion of an Old Caribbean atmosphere and incredible landscapes and beaches. Reserve your rental car on North Caicos prior to your planned trip. It’s easiest to pay with cash when you pick up the rental on North Caicos. Calling direct is the most effective way to book. Have an idea of the sights, attractions, and beaches that you’d like to visit. See Things to Do for ideas. Show up at the ferry dock at Heaving Down Rock Marina on Providenciales 20-30 minutes prior to ferry boat departure, and purchase tickets at the Caribbean Cruisin' office (the yellow building). Parking is free. The ferry typically arrives at Sandy Point Marina on North Caicos. Your rental car and agent should be waiting steps from where the ferry lands. Maps are typically included with the rental, but you may want to print our North Caicos and Middle Caicos maps. Explore North Caicos and Middle Caicos! A road causeway connects both islands. When departing North Caicos, we advise arriving at the dock 20-30 minutes prior to ferry departure. Rental cars are typically dropped off where they were picked up. Sunday is not the best day for a day trip to North Caicos and Middle Caicos, as the ferry schedule is limited, and many shops, gas stations, and restaurants are closed. All other days of the week are great. The main way to get to North and Middle Caicos from Providenciales is by passenger ferry. Two companies, Caribbean Cruisin' and MV My Girl Ferry Service, run this route. 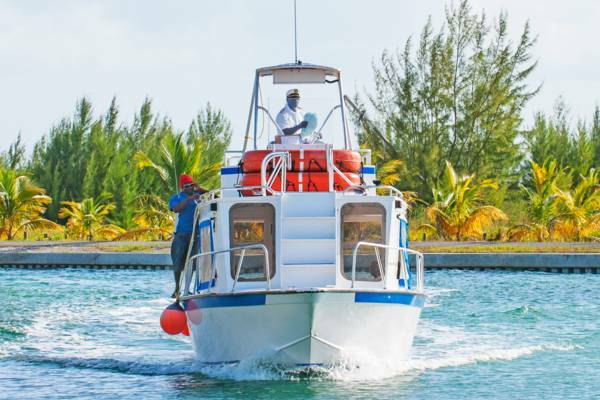 This service takes about 30-35 minutes, and travels between Heaving Down Rock Marina (Walkin Marina) on Providenciales and Sandy Point Marina or Bellefield Landing on North Caicos. It’s a fun ferry trip on its own. Depending on the weather and tides, you’ll either take the highly scenic northern route on the open water, where you’ll see all the small cays between Providenciales and North Caicos, (including Little Water Cay, Water Cay, Pine Cay, Dellis Cay, and Parrot Cay), or the southern route on the Caicos Banks. Usually, the captain takes the northern route as it’s faster, but hopefully you’ll get to experience both. There are several ferry trips per day, and the earliest journey will of course give you the most time to explore. If you take the first and last boats of the day, you’ll typically get to experience a spectacular sunrise and sunset on the journeys. There are no car ferries between Providenciales and North Caicos suitable for day trips. There are likewise no scheduled flights to North and Middle Caicos. Waves breaking at Cedar Point Beach, Middle Caicos. There’s no public transport on the islands, so we recommend renting a car or jeep. Rental vehicles are usually older and not all features may be working, yet they’ll get you around fine. A map is sometimes included, but you may want to print our North Caicos and Middle Caicos maps to ensure that you'll have them. If you consult the map and research the sites that you’d like to visit, it’s simple to navigate across the two islands as the road layout is quite linear. If you’d like to venture into a bit of wilderness, see our guide to the back roads of North and Middle Caicos. Middle Caicos offers many spectacular landscape and coasts, and foremost of all is Mudjin Harbour. This bay has high limestone cliffs, scenic rocky islands and small caves. The area can be especially impressive when the ocean swell is up. Conch Bar Caves, Middle Caicos. Conch Bar Caves, also on Middle Caicos, is the largest non-submerged cave system in the entire Bahamas-Turks and Caicos archipelago. 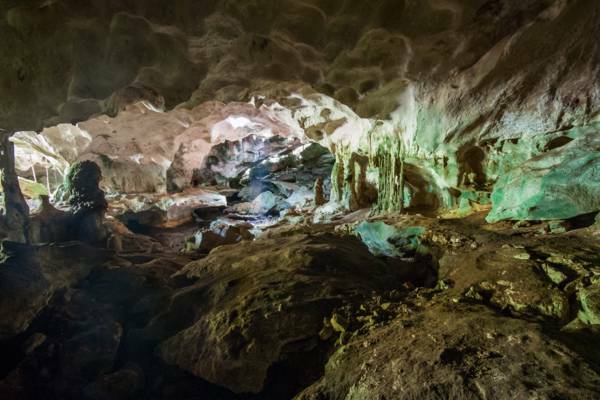 It doesn't have the paths, stairs and lighting that many tourist attraction caves have and is quite interesting. Nearby is the free-to-access Indian Cave, an open gallery system with many skylights. 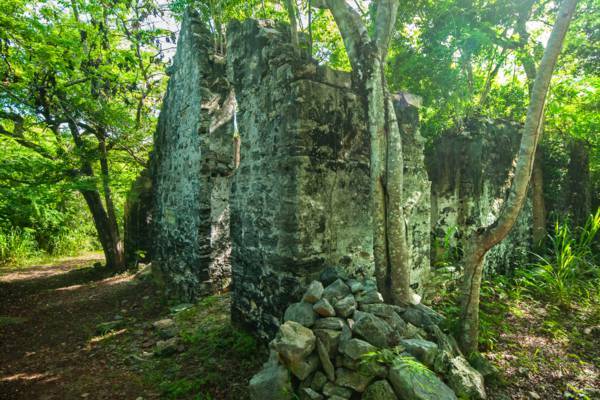 History-wise, there’s Haulover Plantation on Middle Caicos, and Wade's Green Plantation on North Caicos. Both of these are interesting, yet they are simply ruins. These sites do not indoor museums or gift shops. Haulover Plantation is free, whilst Wade’s Green Plantation has a nominal entry fee. Cottage Pond, on North Caicos, is an interesting quick stop. It’s a 250 foot diameter bluehole in the middle of the island. It’s distantly connected to the ocean, and a few new species have been discovered in it. Both islands offer miles of secluded coastlines and beaches to explore. 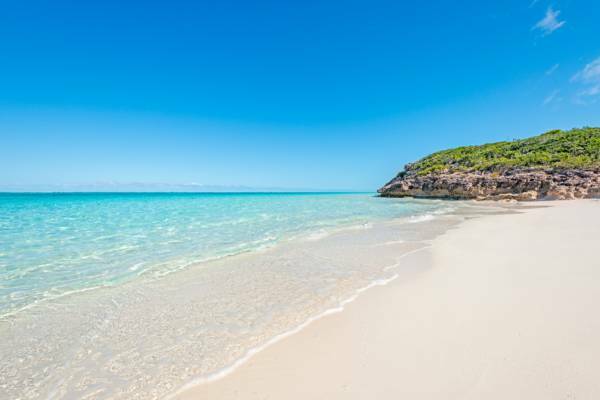 In our opinion, the best beaches on Middle Caicos are Bambarra Beach and Conch Bar Beach. 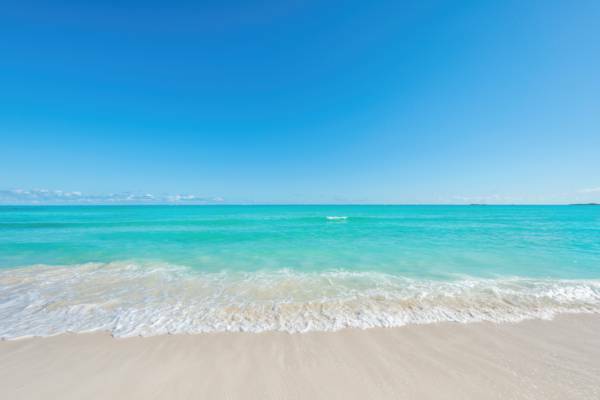 Hollywood Beach, Pumpkin Bluff Beach and Whitby Beach are the best beaches on North Caicos. It’s easy to book directly yourself. You only need to reserve the rental vehicle, and arrive at the ferry dock on Providenciales on time. Caribbean Cruisin' is the primary ferry operator. You don’t have to book ahead, yet it’s just a quick phone call so we recommend reserving. Tickets are $50 return (2018) per person. For car rentals, see our Getting Around North Caicos and Middle Caicos article. Pick one of the companies and give them a call. In our experience, they all tend to have similar prices, which range from around $75 to $85 for a standard size car per day. If you have a group, try to call a few days ahead, as only a few companies have vans and they may not be available. Sometimes you may need to call ahead to ensure that Conch Bar Caves and Wade's Green Plantation are open, as the tour offices don’t have fixed hours. See the individual attraction pages for contact information. Most restaurants are closed on Sunday. Check out North Caicos and Middle Caicos Restaurants for more information. There may be mosquitoes at times. We advise bringing insect repellent. See What to Bring to the Turks and Caicos. Pumpkin Bluff Beach, North Caicos.